Abiodun Adisa, managing director of Picket Suites and Services Limited, who issued N130m dud cheques to one Okechukwu Enelamah, will spend the New Year in jail. Adisa was sent to jail by a Federal High court in Lagos after he was docked by the Special Fraud Unit (SFU), of the Nigeria Police Force. 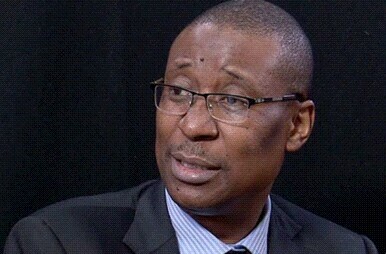 The SFU alleged that Adisa issued 15 Guaranty Trust Bank (GTB) cheques to Enelamah, who has connection with Fredliz Estates Limited, in settlement of his indebtedness to the company. The cheques were issued between August 22, 2016 and June 30, 2017. His lawyer, Mr. Adewale Olawoyin, a Senior Advocate of Nigeria (SAN), pleaded with the court to grant his client bail in liberal terms, pending the trial. Olawoyin (SAN) particularly informed the court to discountenance the allegation made by the prosecution that his client will not come to court if granted bail, saying that even when the accused was granted administrative bail, he travelled to America for medical treatment, and he willingly reported back to the police on his arrival. Olawoyin (SAN) therefore, urged the court to grant his client’s bail application. The prosecutor, Mr.Slevester Azubike, objected to the bail. After listening to the submissions of both parties, Justice Hadiza Rabiu-Shagari, ordered that the accused be remanded in prisons custody until 3 January 2018, for ruling on the bail application.